In the vastness of the universe, deep space is endless darkness. Hyperion is a super battleship,It has powerful main gun and a lot of defensive weapons. It also carrying many fighters. Use them reasonably enough to face any enemy. Powerful Hyperio will illuminate the journey. 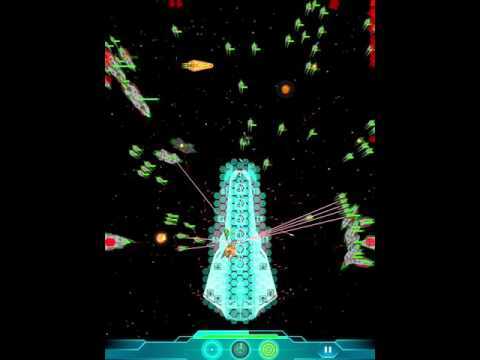 Control the battleship Hyperion and defeat the crazy attacking enemies in the sea of stars. Highly customized weapons systems,help you to control every corner of battleship. Rich technological system to achieve your strategy. Note! This is not a casual game, the thinking of commander is more important than operation. - 3 fighting skills to help you defeat the enemy. - 8 different enemies blocking the route. - 10 different powerful weapons look forward to roar. - 18 customizable weapon position waiting for glory. - 150 levels waiting for you to challenge.